Beerwah R .S . L.
Dates and places you can see us! Private function Glasshouse Mountain............The Trio...........................May 3.....7.00 till Late. Horton Park Golf Club .................The Trio. Rainbow Beech Hotel.............................The Trio. Aug. 16..............................8.30 till 11.45. Rainbow Beach Hotel...............................The Trio....Nov. 21..................................8.30 till 11.45. S&S. Joinery..................private function........The Trio.......Dec. 5...................8.30 till Late. 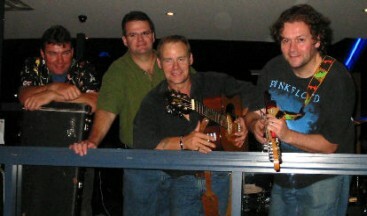 Outrigger Mooloolaba..............private function.........The Trio..........Dec. 12........8.00 till Late. 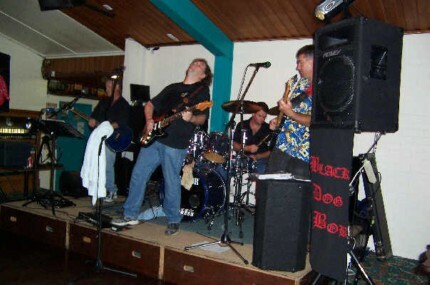 Commercial Hotel Nambour.............The Duo.................march 7.........2.00 till 5.00. 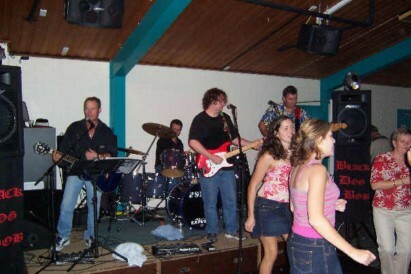 Rainbow Beach Hotel......................the Band........................Sept. 11................8.00 till 11.30. To the far right taking care of Bass guitar and backing vocals, you can see phil. When ya gotta go off, ya just gotta go off !!!!! I'm not sure what we were playing, but I did see heaps of 'air guitarists' just groovin' out in the crowd.........just like us ! We give the performance all we have, and then some. It's more like a show than a gig. We have a ball, and so does everyone else. I think that you've gotta leave a little of yourself in the minds of the people who come to see you. Ya gottsta give 'em something to take home, and if it's anything like the buz we feel, then we've done it right ! Scroll down the page !